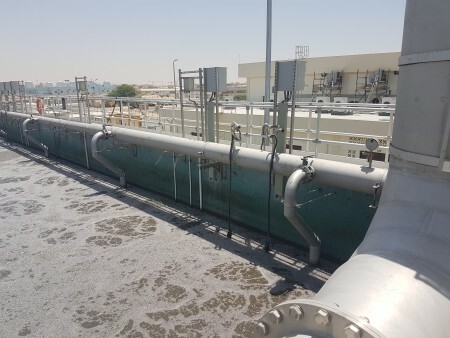 Next Filtration detailed in a press release how its Next FOG STOP system improved overall effluent water level at a municipal wastewater treatment plant in Brazil by reducing residual biochemical oxygen demand (BOD) by 50%. Combined with an increase in dissolved oxygen (DO) levels of 45.5%, Next FOG STOP could allow the facility to operate under increased flow, or organic loading of up to 25% or more. The system itself is designed to reduce fats, oils and greases (FOG) in wastewater systems, having recently secured a contract with Severn Water in the UK. According to the release, Sao Paulo state wastewater management firm Sabesp tested the system and found that volatile suspended solids were reduced from 20% to 13.3%. Next Filtration also claim that tests found sludge production dropped from 11,089mg/L to 7,546mg/L, a reduction of 31.95%. Results were found during an 18-month trial period, after which an agreement followed.